Realme is a company which was offshooted from Oppo, although it is now a different company but is still owned by BBK Electronics which owns Oppo, Vivo, Oneplus and now, Realme. 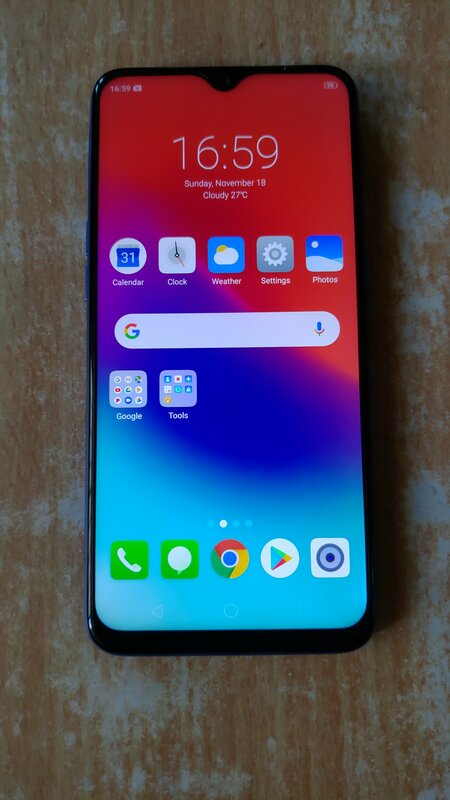 Realme uses the same ColorOS (variant of Android created by Oppo). 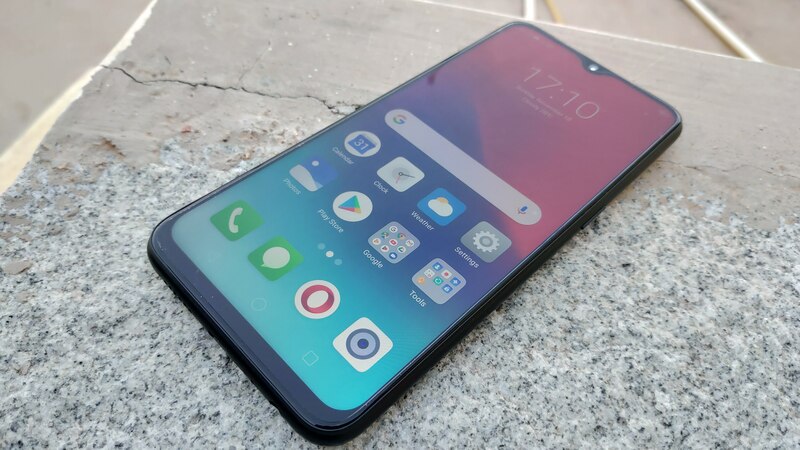 Realme 2 Pro is a mid-range phone which seems to offer good value for money. Let us see how it fares. The device looks modern and feels great to hold. The measurements stand at 156.7 X74 X 8.5 (in mm). The phone is quite big and the entire screen would not be reachable in one hand for people who don’t have large hands. The aspect ratio is 19.5:9, which makes the phone long and is not apt for operating with one hand. 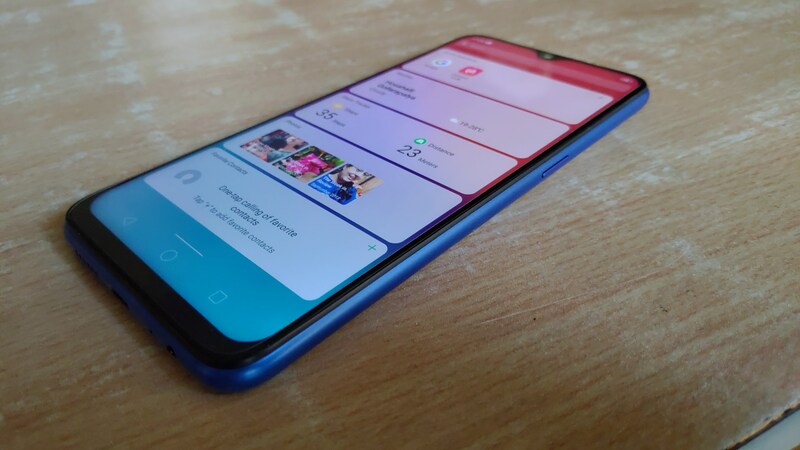 Realme has added a notch to get maximum area for the screen. The notch is a tear-drop shape like in Oneplus 6T. The design of the device is great. The phone has a 2nd transparent layer on the back. 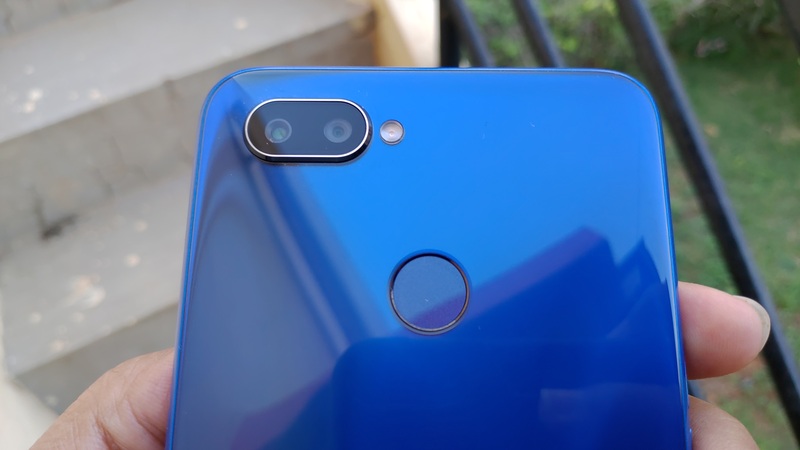 The rear cameras are placed on the top-left side of the backside, one beside the other in a single housing, and protrude a bit, not as much as to make anyone uncomfortable in the pocket. The LED flash sits beside the camera housing. The fingerprint sensor sits in the center of the backside, towards the top. 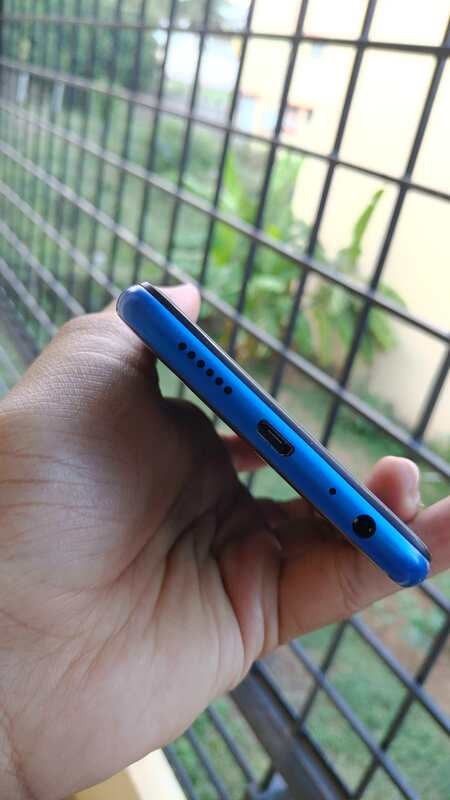 On the bottom side of the phone, we have a speaker grille left, micro-USB connector in the middle, a mic and a headphone jack towards the right. On the left side of the phone, you have the SIM tray, where you can insert 2 SIM cards AND a micro-SD card. Good on Realme to have a dedicated slot for micro SD expansion. Below that, you have the volume buttons. Power button is in the right side somewhere midway. The top side has a solitary mic which we think would be used while recording audio for the videos. The front camera, proximity sensor is placed in the notch area, and also a speaker for the voice calls is housed behind the notch. Realme 2 Pro comes with Android Oreo 8.1 with Oppo’s ColorOS (version 5.2) on top of it. It would be ok for most people to use. But it looks a bit cartoonish and bit similar to MIUI that Xiaomi provides with their phones. ColorOS would not appeal to everyone. That being said, there are some nice motion controls which can mute the ringing of the phone if you flip it, raise the phone to answer or make calls, etc. There is also something called “Clone Apps” which enables apps like Facebook etc, to log in with 2 different accounts at the same time. You get some bundled apps, which is not much as to irritate. You can’t uninstall them, nor can you disable them. Overall, ColorOS is not a great experience when pitted against Android One or the skins which resemble stock Android. There is also a big difference on how notifications are handled in ColorOS when compared to other flavours of Android. It somewhat resembles iOS. You can’t dismiss them with one single swipe.Instead, you have to swipe to the left which reveals a delete and settings icons. Tapping on the delete icon dismisses the notification. This will take some getting used to if you are coming from another Android device. The fingerprint sensor is fast and unlocks the phone in a fraction of a second. And surprisingly, the face unlock works really well in this device (in this price-point and segment). We haven’t seen a device in this segment with face unlock working so well in most of the light conditions. The only time it struggled to unlock was in complete darkness, although it tried to compensate the lack of light by brightening the screen, it wasn’t enough if the face is not close enough. It also managed to unlock in dim-lit and indoor ambient lights without any problems. Watching videos in this phone is a good experience, owing to the wide aspect ratio of the phone. The display is crisp and makes it for a good watch. It is capable of playing 4K videos due to the processor used. Audio quality is also good and you would enjoy listening to your music. There are some audio settings which you can tweak around in the settings once you have connected your earphones. There is a single speaker which can be used as a speakerphone or for music/video. Its not that loud and also the sound quality leaves a lot to be desired. There are no earphones bundled with the device, so you’ll have to get one yourselves. Realme 2 Pro supports EDGE, 3G or 4G (with VoLTE) data connection speeds. Wi-Fi (dual band) support is also there and so is Bluetooth 5.0 for data transfer, it can also act as your personal Wi-Fi hotspot with the internet sharing feature, allowing you to tether other devices. Wi-Fi is also useful for sharing via DLNA. It also comes with dual VoLTE support. Bluetooth protocols like LE, A2DP. For location services, the device supports GPS, AGPS, GLONASS and BeiDou. Also, for data transfers, the device has a micro-USB connector. We would have desired a USBC-type connector instead. Realme has missed out on NFC, not that we are complaining, but it would have been good to have. Realme 2 Pro comes with a 16 MP (f/1.7) main camera and a 2 MP (f/2.4) secondary lens for depth sensing in the back. It takes some good shots in daylight. There are few modes like Time-lapse, Portrait and Panorama, which is self-explanatory. There is also a Pro mode where in you can control all the settings manually, like shutter speed, ISO, white balance, exposure and also gives an option to manually control the focus of the main camera. The camera does have EIS (ElectronicImage Stabilization) and stabilizes a bit, but it is no match for hardware based OIS. The camera takes good photos in low light too, but at times, details are not captured properly at times. The portrait mode works well and you get good looking photos here. The bundled camera app has some weird settings. You can’t change the aspect ratio of the photo when in Pro mode. And HDR leaves a lot to be desired. 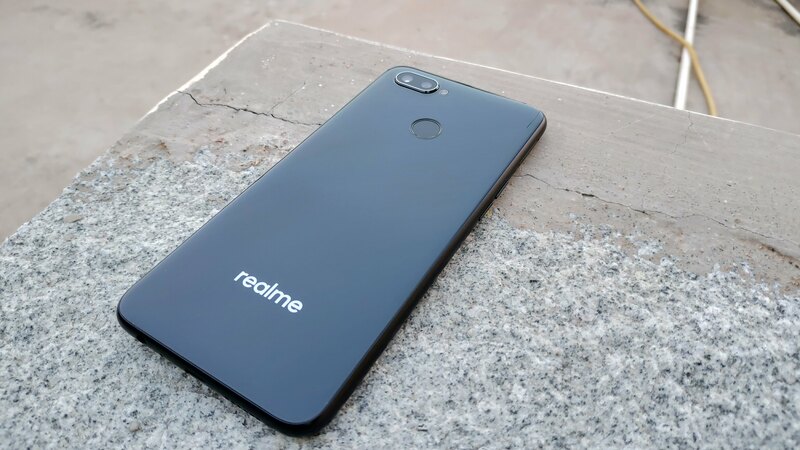 The hardware has the potential, but is not fully utilized by the app given by Realme. We tried with some camera apps like Open Camera and HedgeCam2, and the results were pleasing. Realme 2 Pro has a 3500 mAh battery, which lasts easily more than a day on moderate usage, which is great for a smartphone. With heavy usage it will still make it through the day. There is a power saving mode which will limit the background app activities, disables email auto-sync and reduces visual effects. Also, there is a fast charger provided with the phone which supposedly charges the phone faster, but it’s not as fast as the competition. It took 100 minutes for a full charge from 0 to 100%. The battery life is very good, but charging speed is not that great, but hard to argue with in this segment. Realme 2 Pro has been launched at ₹ 13,990 (4 GB RAM, 64 GB Storage). It is also available in6GB/64GB for ₹ 15,990 and 8GB/128GB for ₹ 17,990. We had the 8GB/128GB variant as our review device. At this price, it gives good value in terms of design,camera and performance. It goes up against the likes of Nokia 6.1 plus. 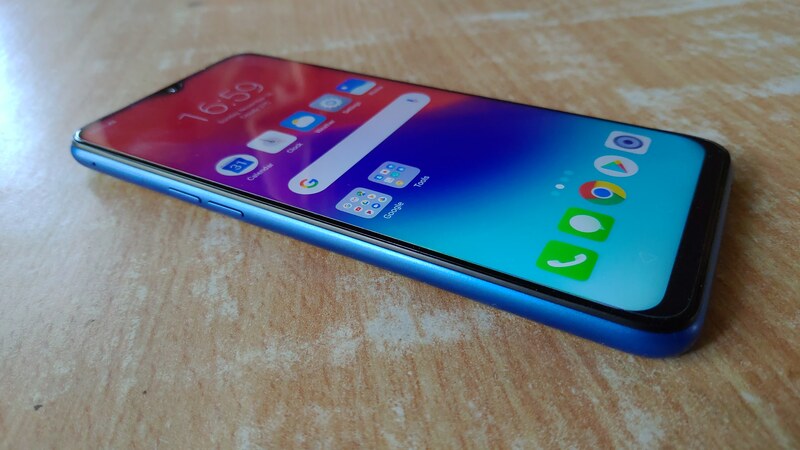 Depending on the variant, Realme 2 Pro offers a good value proposition for its price, but there are some software quirks, which is not a deal breaker and something that Realme should be able to fix with a software update.